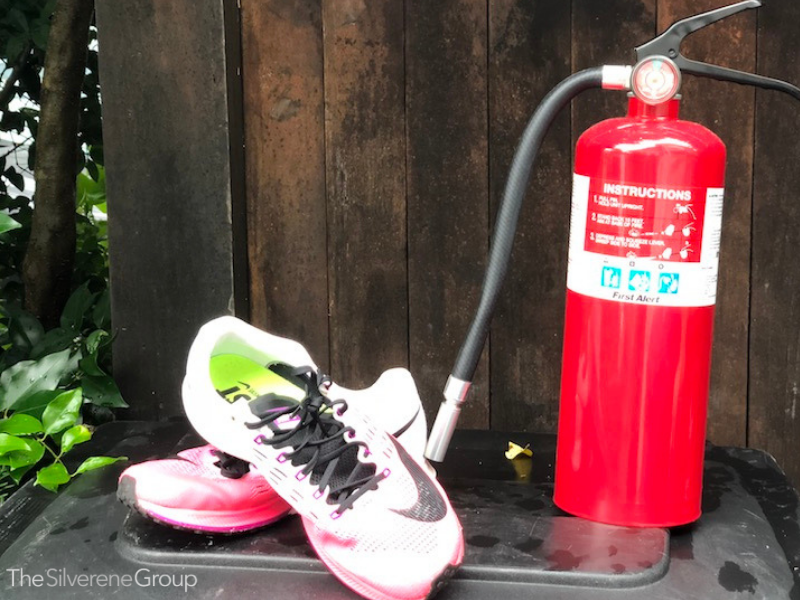 The Silverene Group | Nike doesn’t care that you’re burning its stuff. 10 Sep Nike doesn’t care that you’re burning its stuff. It is not the first time Nike has been in the headlines in recent months. In May, Nike let go a number of company leaders amid allegations of harassment and gender discrimination. The stark difference between its #MeToo scandal and #NikeBoycott is that this time the company is living its values, rather than shirking them. Funny too, how people weren’t lighting Nike on fire for sexual assault. We know Nike’s marketing talent made an informed and strategic decision in choosing Kaepernick. Undoubtedly, company leaders knew there would be backlash, but their corporate values guided their actions. Corporate values, along with mission and vision, guide everything a company does. This includes how an organization recruits talent, promotes (or fires) leaders, rewards and recognizes performance, makes decisions, chooses vendors, chooses clients, and chooses its spokesperson. You get the point. Take Nike’s values: performance, authenticity, innovation, sustainability, equality. These values should not only guide everyday work, but align to and reinforce their overall mission, vision, and strategy. Nike’s mission “to bring inspiration and innovation to every athlete in the world” further exemplifies its values. Nike does not just have a Diversity & Inclusion initiative, they actually post their D&I numbers on their website. Some of the recent backlash has been in questioning whether Kaepernick really made such a sacrifice as the campaign suggests. One could argue that giving up a highly paid job is an inconvenience, not a sacrifice. Why not choose a member of the military, someone who represents those who make the ultimate sacrifice? After all, they are the ones who put their lives on the line for our freedom – our Constitution – which includes the Right to Freedom of Speech. However, consider that Nike is acknowledging the sacrifice of slaves, the Civil Rights movement protesters, the people of color in U.S. history who have not been treated as equals, and every injustice that Kaepernick stood, no kneeled, for. Consider the athletes – many of whom are people of color – that Nike represents. Kaepernick has been clear to say that his intention is not to disrespect the flag, but rather to kneel in protest of the way other human beings, Americans, are still being treated. In essence, he was kneeling for his values. The root of “values” is the Latin word valor, meaning strength. The best corporate values then serve as a source of strength for business leaders and the important decisions they make. No doubt, Nike is well aware of the demographic that is its future: the diverse, multi-racial, socially-conscious Millennials and Gen Z’s that think and act very differently from the baby boomers pulling the strings for decades. Millennials and Gen Z’s are prone to choosing companies that have a social theme as a core-business value and strategy. At the end of the trading day last Tuesday, Nike’s stock dropped three percent in value. I’m guessing this was not a surprise to them. Values-based organizations don’t make short term decisions. They are in it for the long haul, and long-term investors and supporters will not be rattled. And a week later, the stock is back up. – even if they’re unpopular or controversial. They use their values to evaluate if people are living the values, and they take action if they’re not. (They know what one rotten apple can do to the barrel.) And, they celebrate those that live them. They integrate their values in their everyday work and communications. They explain “the why” behind their values. They don’t have to hide behind a long list of stifling rules and policies. Everyone holds each other accountable to living the company’s values. While we may have different perspectives on whether or not we support Kaepernick’s decision to kneel, we do have to acknowledge that he is very clear about his personal values and how he chooses to live them. And Nike has made it clear it’s living its values too.